Freemotion S11.9 Chain Drive Indoor Cycle w/ Console, ergonomically built to fit most riders and created to withstand heavy use, this bike is ideal for every facility. 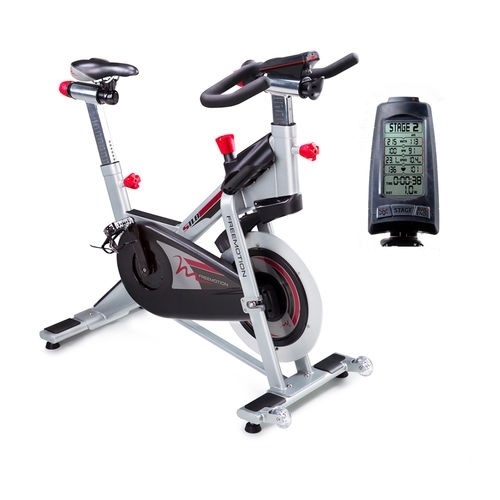 Featuring dual-sided pedals, this cycle accommodates both high performance SPD cleats, as well as traditional fitness shoes to fit the needs of your individual members. As a part of the S Series, this bike features an innovative geometry to accommodate riders from 5' to over 6'9" and provides a neutral fore/aft position that will quickly and easily position 90% of all users comfortably and efficiently. Designed for the most realistic ride possible, the S Series employs both a perimeter-weighted flywheel and a high gear ratio to create a consistent, natural feel. With a higher inertia, each pedal stroke is incredibly smooth. Along with corrosion resistant frames, minimal hardware, frontal flywheel access and quick and easy console battery changes, each bike in the S Series was designed with common parts for more convenient maintenance. 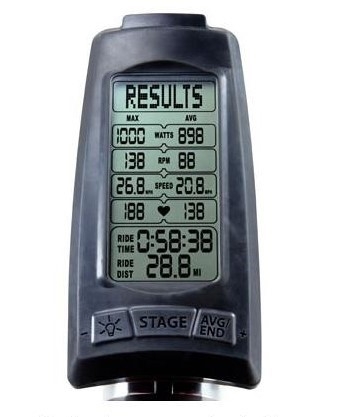 Through extensive research and testing, these innovative and sophisticated indoor cycling bikes will forever change the way we train.